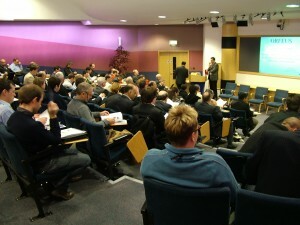 The MTU Annual Event took place in February 2010 and was widely deemed to be a great success. We are in the process of producing an event report which will be posted as soon as possible. In the meantime, here is a pictorial roundup of the day. Technology demonstrations and poster presentations. Prototype equipment on display with MTU researchers on hand to demonstrate the technology behind the sensors. 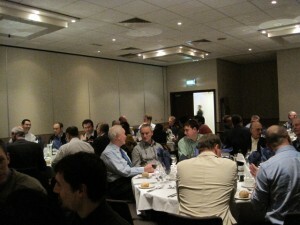 The lively networking dinner on the evening of the 24th. 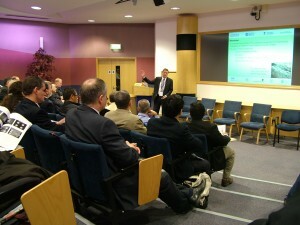 Excellent attendance from a wide range of sectors, both academic, industry partners and public sector representatives. We were proud to host a large international presence, including delegates from the United States and the Far East. A broad range of short presentations continued throughout the day, outlining the latest development in the project while generating discussions among the audience. 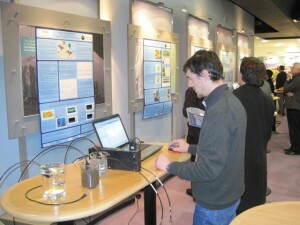 - Technology demonstrations and poster presentations. - Prototype equipments were set up and the researchers were present to demonstrate the technology underpinning the sensors. 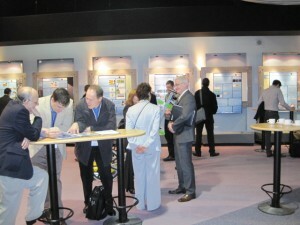 - There were also posters set up for browsing at leisure.